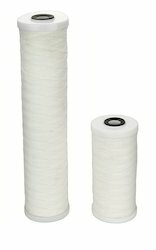 Pioneers in the industry, we offer polypropylene wound filter, yarn wound filter, wound filter, wound filter cartridge and wound pp filter cartridge from India. 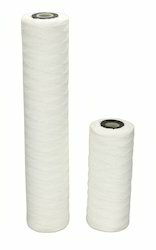 Length >25", 5"-10", 5,15,>25, 15"-20"
Being a customer oriented firm, we are engrossed in offering a quality approved gamut of Polypropylene Wound Filter. 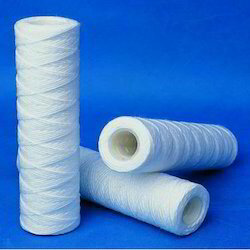 Being a customer oriented firm, we are engrossed in offering a quality approved gamut of Yarn Wound Filter. 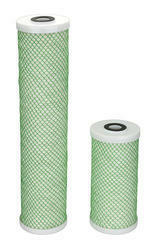 Being a customer oriented firm, we are engrossed in offering a quality approved gamut of Wound Filter. Realizing the requirements of our customers, we are providing the new Wound Filter cartridge to our customers. We feel immensely pleased to offer an exquisite gamut of Wound PP Filter Cartridge. Looking for Wound Filter ?